I am Cecilia, and I have lived all my life in Aguas Calientes, Mexico. I am a single mother of my 21 year old daughter, as her father left to the United States when she was very young. I have been working in Maquilas for the past 20 years. Currently I am working in a maquila where the working conditions are the best I have experienced yet. I have been there for four months now, and we make mats for different car companies, such as Chrysler and Ford. 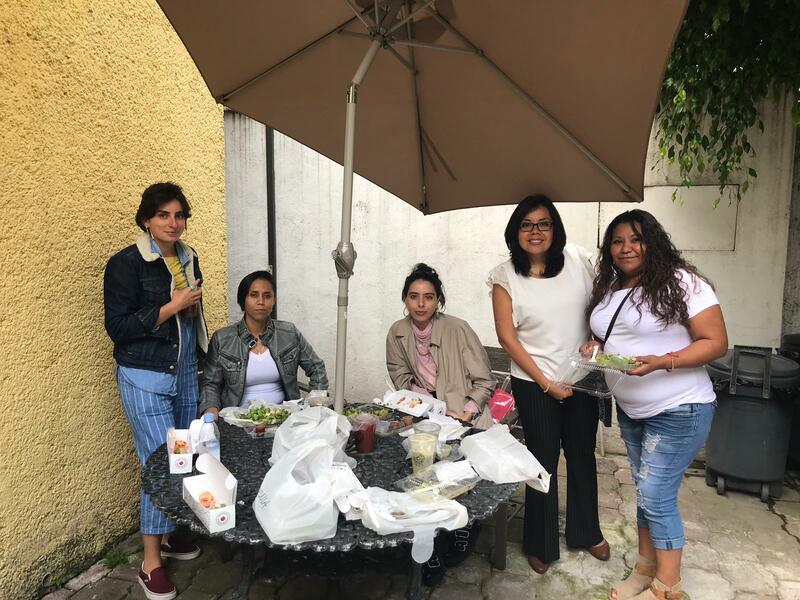 I work from 8am to 6pm and in the Maquilla, we get 5 minutes, three times a day to stand up, stretch and do exercises so that our body and muscles not tense up. We also get half an hour for lunch. Before making mats, I worked in a maquila making jeans for brands like Levis, Dockers and Arizona. In comparison to the Maquila, the supervisors were mean, selfish and very machsta to us, the operators (the female workers). They took advantage of the lack of knowledge we had of our rights, making us work in conditions that affect our health and at a very low wage. 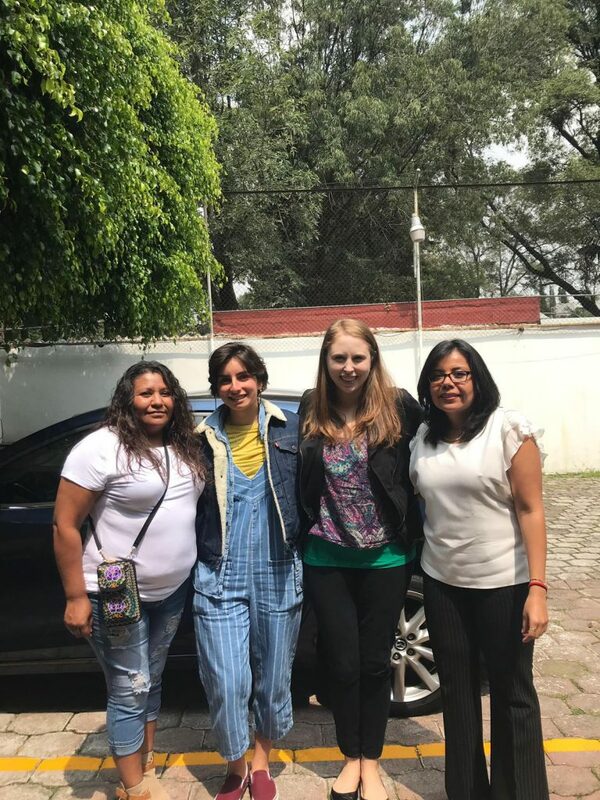 Photo: Cecilia, left, with fellow women makers who are fighting for better working conditions and pay alongside Remake’s Ambassadors. It was during this time that I began to attend meetings of the collective, Colectivo Raiz. 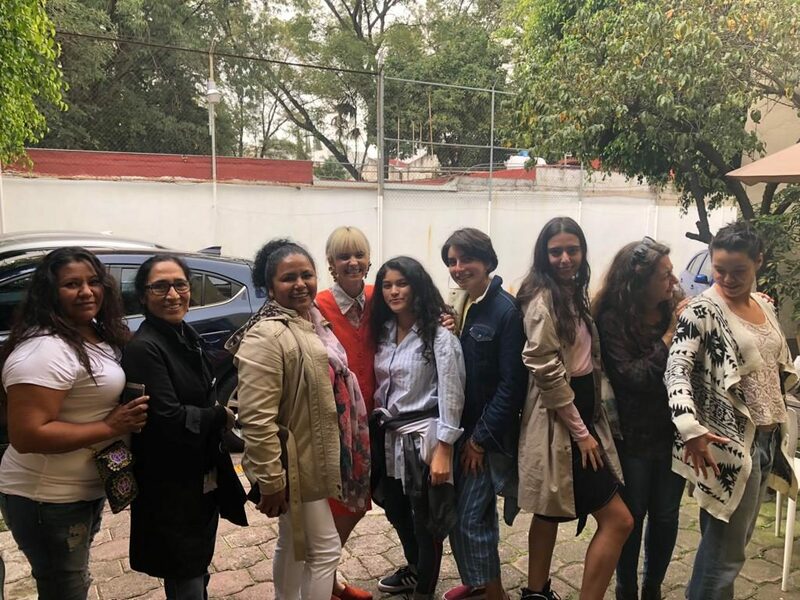 A group of all women, with a focus on making the woman of Aguas Calientes aware of there human rights, made me open my eyes and become aware that I deserved better. The collective has also taught me to have a voice and be vocal and find a way to unite with my other female coworkers, in order to make our cause more noticeable as well as impactful. Photo: Cecilia, left, with Remake’s Ambassadors Yesenia and and Alex. This coming week, we will be asking for a raise at the maquilla, since our weekly salary is very low. I am grateful that I have always had the support of my family. I am one of 12 siblings, but we have always been connected, living on the same ranch, celebrating every holiday together, and this has also allowed my daughter to grow up in a loving community. Whenever we have parties and celebrations I love to sing and dance. In particular, I love dancing cumbia. The encouragement I receive from my family has also allowed me to become a stronger woman. To stand up for my rights and share my voice with others. Yesenia joins the Remake team after her participation in Remake’s immersive journey to Mexico. As an aspiring fashion designer, she integrates recycled and reused materials into her textiles and collections to give what others see as “waste,” a second life.